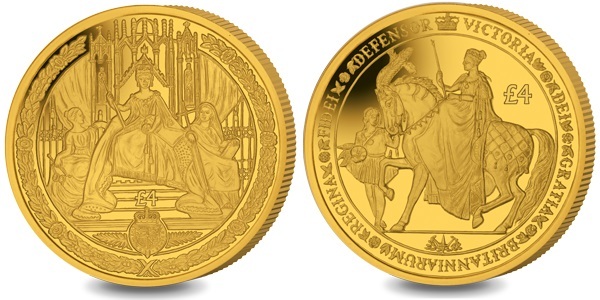 The government and treasury of South Georgia and South Sandwich Islands have issued (21st March) new crown coins and gold £4 pieces which are in celebration of the bicentenary anniversary of the birth of Queen Victoria. Upon the death of her grandfather in January 1820 (and sadly, her father just four days before), she was elevated to third place after her uncles, the Duke of York and the Duke of Clarence. On the morning of the 20th June 1837, at just 18 years of age, the young princess was notified of the death of her beloved uncle, King William IV, and that she was now Queen. For the world, this accession would become what has been referred to as the Victorian Era, which would usher in profound changes in both Great Britain, the colonies of the immense empire, and in much of the English-speaking world. During her reign, the British Empire expanded at its fastest, becoming the largest that had ever existed, ruling nearly a quarter of the world’s population. It was Captain James Cook who first landed on South Georgia in 1775 and claimed the island for Great Britain. The claim would not be formalised until 1843 when the Royal Letters Patent was issued by the sovereign, in this case, Queen Victoria. These legal documents, issued by the monarch, enabled the formal creation of a government for the islands. The Letters Patent are made official with the inclusion of the Great Seal of the Realm. This is created when sealing wax is melted into a metal mould and impressed into a wax disc that is attached to a cord or ribbon to documents that the monarch wishes to make official. As the British Letters Patent was issued during Queen Victoria’s reign, they would have been endorsed by her personal Great Seal. The gold, silver, and cupro-nickel coins are produced by the Pobjoy Mint at their facilities in Surrey, England, on behalf of the treasury of the South Georgia and South Sandwich Islands. 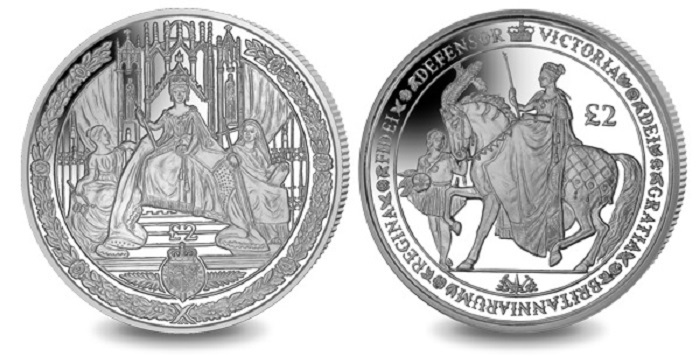 The two-coin set consists of images from the Great Seals of Queen Victoria. The first coin shows the reverse of the Great Seal of Queen Victoria. This particularly intricate design shows the Queen seated on the throne with the symbolic figures of Justice and Religion seated on either side. The Royal Arms and crown are shown below, wreathed with oaks and roses. The second coin features the design on the obverse of the seal with Queen Victoria riding on horseback, crowned and holding a sceptre. A page is shown alongside who is holding the horse’s reins. 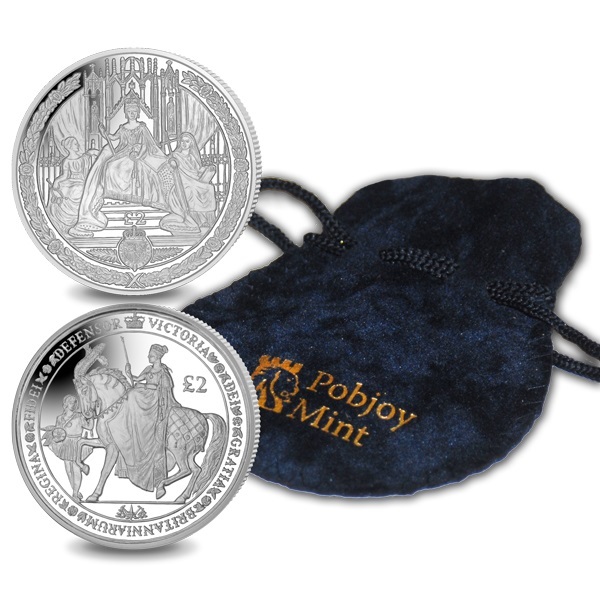 The obverse of each coin includes an effigy of Queen Victoria’s great-great-granddaughter, HM Queen Elizabeth II, which is a portrait created for exclusive use by the Pobjoy Mint. The year of issue, 2019, is included in the legend placed around the Queen’s likeness. The coins across their variations are all available as individual coin purchases or as a two-coin set. The Proof sterling silver and the Proof 1/25th-ounce fine gold coins are encapsulated in an acrylic capsule for protection and are presented in a custom red case along with a certificate of authenticity. 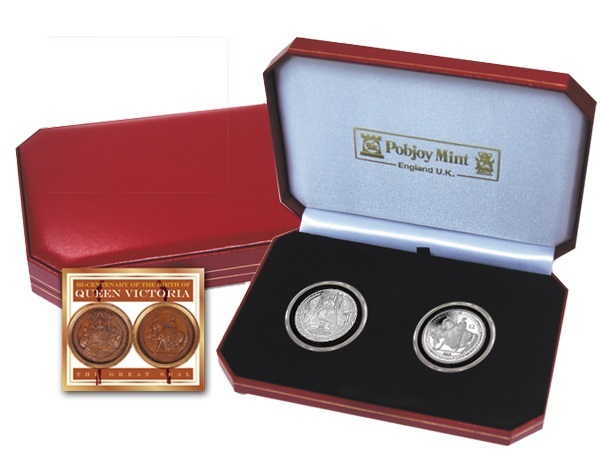 The cupro-nickel coins are included in a Pobjoy Mint-branded blue presentation pouch. For more information about these coins and others issued by the treasury of the South Georgia and South Sandwich Islands, please visit the website of the Pobjoy Mint.